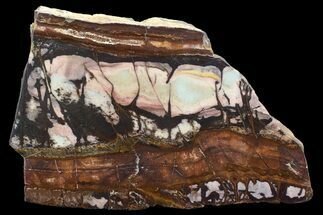 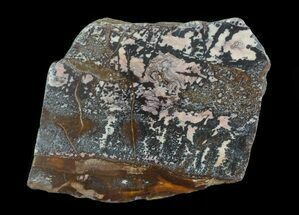 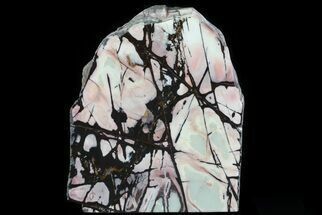 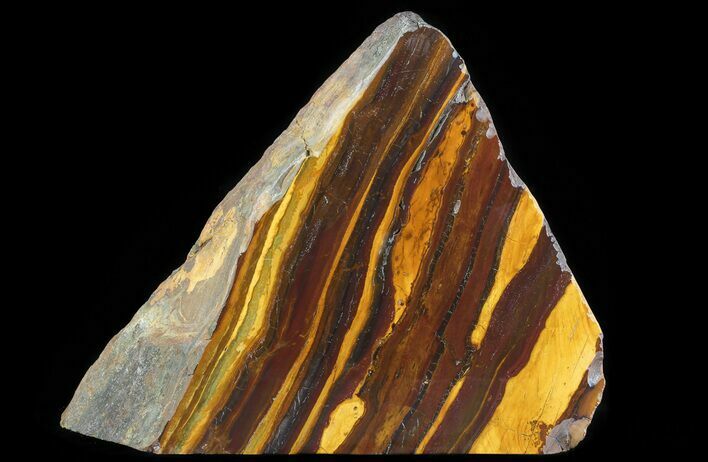 This is a large, 11.3" tall, cut/polished section of "Desert Sunset" banded iron from Western Australia. 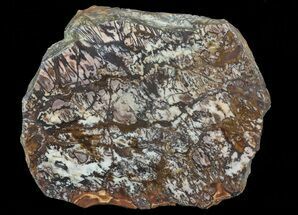 The heavy, 34 lbs section has been cut and polished to a mirror like finish and has a flat base making for an impressive, decorative display. 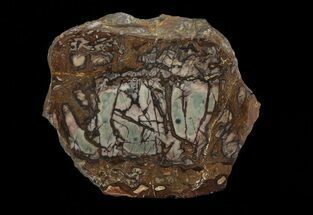 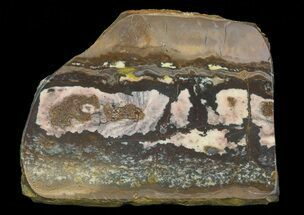 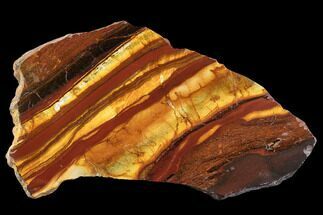 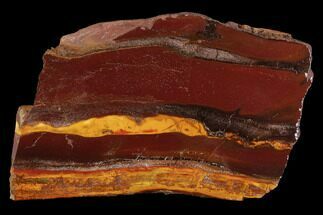 The banded iron is comprised of alternating bands of black hematite, chert and yellow/red jasper. 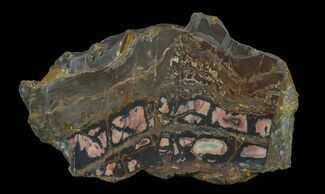 It comes from near Fields Find, a small abandoned gold mining center in the Midwest Region of Western Australia.